Update: Wilson was convicted of some charges Thursday, but not the most serious one. Just weeks before the New Jersey Assembly votes on pending medical marijuana legislation, a trial is set to take place that demonstrates precisely why such a law is needed. A sick Somerset County resident, John Ray Wilson, is looking at up to 20 years in prison for growing his own medicine. In the summer of 2008, Wilson, a Multiple Sclerosis (MS) sufferer, was broke, had no health insurance, and was desperate for relief from the debilitating symptoms of his disease. Unable to afford pharmaceutical medications and having already resorted to alternative healing practices, when Wilson saw fellow MS victim Montel Williams talk on TV about how medical marijuana had helped him, he decided to try it for himself. Wilson had even resorted to bee-sting therapy in a bid to relieve his symptoms, but it was marijuana that worked best, he said. "I was diagnosed with MS in 2002," he said. "I suffer from blurred vision, pain in my joints, and muscle spasms. I didn't have any medical benefits, so I tried to get some financial assistance to actually get some MS medicine, but that didn't succeed. I even tried getting stung by bees. Then I saw Montel Williams on TV saying he had MS and smoked marijuana and it helped. So I tried it, too, and it definitely helped, especially in relieving the pain and the muscle spasms." Lacking access to medical marijuana, Wilson decided to try his hand at growing his own in the backyard of his Franklin Township home, and that's when his life took a real turn for the worse. A National Guard helicopter on a training flight spotted Wilson's garden and reported him to state authorities, who promptly seized his 17 plants, arrested him, and charged him with a number of drug possession and drug manufacturing offenses that could get him 20 years in prison. If convicted on the most serious charge -- maintaining a drug production facility -- Wilson would be ineligible for pre-trial diversion and would have to go to prison. Wilson and his attorney explored plea bargain negotiations with prosecutors, to no avail. "We were prepared to settle for a reasonable deal, but the best they offered was five years in prison," he said. Now, Wilson is going on trial. Jury selection is set to begin Monday. It will be tough for Wilson to prevail. In October, Superior Court Judge Robert Reed ruled that his medical condition, and the fact that he had been taking marijuana to treat his condition, could not be revealed to the jury during the course of the trial. "By striking my medical history from the trial, they've pretty much tied my hands behind my back," said Wilson. "Hopefully, we can get a jury that can see through what they're doing to me, but it's more than a little scary. The consequences of what they're doing would be horrendous for me. My health would definitely deteriorate in prison. Stress makes all the symptoms worse, and going to prison would definitely be stressful." "Wilson tried marijuana and found it does in fact help," said Ken Wolski, head of the Coalition for Medical Marijuana-New Jersey, which has lobbied hard to pass a medical marijuana bill in the Garden State to protect patients. "Interestingly enough, a National MS Society expert opinion paper recently acknowledged that conventional therapies don't adequately control MS symptoms and marijuana does. But he will not be able to tell the jury he has MS, and that's the only reason he was using marijuana in the first place," said Wolski. "He's got no job, no health insurance, no access to medicine that might bring him some relief. He tries to eke out a living on eBay." "This is exactly why New Jersey needs a medical marijuana law," said Roseanne Scotti, head of the Drug Policy Alliance New Jersey office, who has been walking the statehouse corridors in Trenton for years trying to get medical marijuana passed. 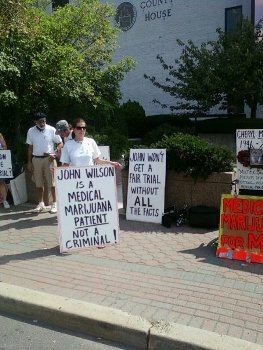 "John Ray Wilson's case is every medical marijuana patient's worst nightmare," she added. "He was using for medical purposes, but is precluded by the courts from introducing evidence as to why, and the court is correct -- this is the law in New Jersey," Scotti continued. 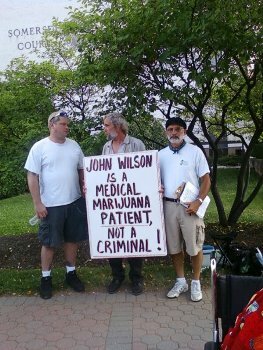 "But that's exactly why we need to change the law -- so people like Mr. Wilson can get safe and legal access to medical marijuana, and we don't go around arresting and prosecuting someone patients seeking some relief." "John Ray Wilson is a poster child for the legalization of medical marijuana," said Wolski. "So many people are outraged that he is facing 20 years for trying to treat himself and will not even be able to tell the truth during the course of his trial." In a cruel twist of fate, Wilson is being prosecuted just weeks before New Jersey is likely to adopt a medical marijuana law. The state Senate has already passed it, and the Assembly will vote on it early next month. Outgoing Gov. Jon Corzine (D) has indicated he will sign it. Two of the bill's sponsors, Sens. Nicholas Scutari (D-Union) and Raymond Lesniak (D-Union), have highlighted Wilson's plight as indicative of why New Jersey needs a medical marijuana law. "It seems cruel and unusual to treat New Jersey's sick and dying as if they were drug cartel kingpins. Moreover, it is a complete waste of taxpayer money having to house and treat an MS patient in a jail at the public's expense," said Scutari. "Specifically, in the case of John Ray Wilson, the state is taking a fiscally irresponsible hard-line approach against a man who's simply seeking what little relief could be found from the debilitating effects of multiple sclerosis. 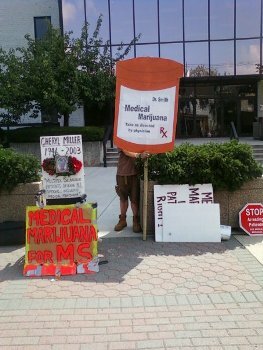 Governor Corzine should step in immediately and end this perversion of criminal drug statutes in the Garden State." But Corzine hasn't stepped in or stepped up. Instead, his office said it would wait until Wilson was convicted to consider a pardon. "The attorney general and the governor didn't want to take any action, but they could make this case go away by exercising prosecutorial discretion," said Wolski. "They chose to let it move forward, and now its getting a lot of regional and national attention, and rightfully so, because it shocks the conscience of the community." "The only way we're going see fewer of these cases come before the court is if the 'New Jersey Compassionate Use Medical Marijuana Act' becomes the law of the land," said Lesniak. "This has been an issue that has taken years to resolve in New Jersey, and legislative approval and enactment into law are long past overdue. It's time that the Assembly posts this bill for a vote, so we can focus our attention on putting real criminals behind bars, and not piling on the suffering for terminal patients simply seeking a little relief from the symptoms of their diseases." But while an Assembly vote is now set for next month, John Ray Wilson's trial will be over by then. Barring a miracle of jury nullification, Wilson will be drug felon. And in the meantime, he's going without his medicine. "I'm not going to buy marijuana on the street," he said. "That would get me thrown back in jail." December 8, 2009 @ 7pm sharp! This event is free, just as the plant should be. All who are interested in the future of medical marijuana through collective and cooperative distribution should attend the next San Diego ASA meeting at 7pm sharp. Expert defense attorney K. Lance Rogers will provide us with lessons learned from the historic Jackson case and at 8pm he will offer a question and answer period for your lingering questions about this landmark trial. If you are unable to make the meeting you can use the following websites to keep up to date with the evolving laws regarding safe access to medical marijuana in San Diego County. A Morrocan appeals court Tuesday rejected the appeal of a human rights activist who had publicly criticized the country's drug policy and was subsequently jailed for offending the authorities and alleged currency violations. That means Chakib El Khayari will continue to serve a three-year sentence handed down in June. El Khayari heads a human rights group in the Rif Mountains, where marijuana growing has been a way of life for centuries. He had criticized inequities in the Moroccan government's crackdown on the cannabis industry there. El Khayari repeatedly told international conferences and foreign media outlets that he questioned the government's record on marijuana eradication and interdiction. He accused authorities of turning a blind eye to hashish smuggling to Europe while focusing their repressive efforts on poor farmers. Prosecutors accused him of taking a bribe to focus a media campaign on some traffickers and not others. They also accused him of depositing money in foreign banks without approval from the country's Exchange Office. That charge was based on a payment he accepted for writing an article for a Spanish magazine. He was convicted in a court in Casablanca in June. Even before his conviction, human rights and drug reform groups were calling his prosecution unjust. "It's pretty clear that the new charges against el-Khayari appear to be one more attempt to silence a critic on politically sensitive issues, and to intimidate other activists," said Sarah Leah Whitson, Middle East and North Africa director at Human Rights Watch. 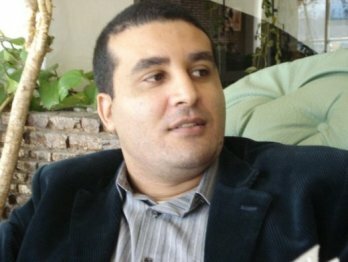 "El-Khayari's prosecution shows that despite Morocco's reputation for open debate and a thriving civil society, the authorities are still ready to imprison activists who cross certain red lines." The European Coalition for Just and Effective Drug Policies (ENCOD) has organized a campaign to seek his release. Click on the ENCOD link here to see how you can help. 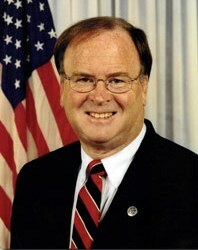 US Rep. Sam Farr (D-CA) and more than 20 congressional cosponsors Tuesday introduced a bill that would allow defendants in federal medical marijuana prosecutions to use medical evidence in their defense -- a right they do not have under current federal law. The Truth in Trials Act, H.R. 3939, would create a level playing field for such defendants. "This is a common sense bill that will help stop the waste of law enforcement and judicial resources that have been spent prosecuting individuals who are following state law," Rep. Farr said on Tuesday. "We need strict drug laws, but we also need to apply a little common sense to how they're enforced. This legislation is about treating defendants in cases involving medical marijuana fairly, plain and simple." More than a hundred medical marijuana providers have been prosecuted for violating federal marijuana laws, and more cases are coming down the pike. More than two dozen cases are currently pending. While the Justice Department last week issued guidelines to federal prosecutors discouraging them from prosecuting providers who comply with state medical marijuana laws, that guidance does not require that courts or prosecutors allow testimony about medical marijuana, nor does it suggest that prosecutors drop those cases. "The Truth in Trials Act will restore the balance of justice and bring fundamental fairness to federal medical marijuana trials," said Caren Woodson, government affairs director with Americans for Safe Access (ASA), the nation's largest medical marijuana advocacy group. "This legislation complements the recent Justice Department guidelines for federal prosecutors and is now more necessary than ever." While Farr has introduced the Truth in Trials bill in earlier sessions, supporters hope this time the bill will gain some traction. It has already been endorsed by more than three dozen advocacy, health, and legal groups, including ASA, the ACLU, the National Association of People With AIDS, the National Minority AIDS Council, and the AIDS Action Council. "As a general matter, pursuit of these priorities should not focus federal resources in your States on individuals whose actions are in clear and unambiguous compliance with existing state laws providing for the medical use of marijuana. 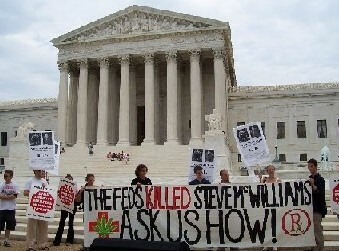 For example, prosecution of individuals with cancer or other serious illnesses who use marijuana as part of a recommended treatment regimen consistent with applicable state law, or those caregivers in clear and unambiguous compliance with existing state law who provide such individuals with marijuana, is unlikely to be an efficient use of limited federal resources." But the memo also said that federal prosecutors should continue to target marijuana production or sales operations that are illicit but hiding behind state medical marijuana laws. It explicitly singled out cases involving which involve violence, the illegal use of firearms, selling pot to minors, money laundering or involvement in other crimes. "It will not be a priority to use federal resources to prosecute patients with serious illnesses or their caregivers who are complying with state laws on medical marijuana, but we will not tolerate drug traffickers who hide behind claims of compliance with state law to mask activities that are clearly illegal," said Attorney General Holder. "This is a huge victory for medical marijuana patients," said Steph Sherer, executive director of Americans for Safe Access, the nationwide medical marijuana advocacy organization, which had been in negotiations with the Justice Department to get written guidelines issued. "This indicates that President Obama intends to keep his promise not to undermine state medical marijuana laws and represents a significant departure from the policies of the Bush Administration," continued Sherer. "We will continue to work with President Obama, the Justice Department, and the US Congress to establish a comprehensive national policy, but it's good to know that in the meantime states can implement medical marijuana laws without interference from the federal government." "This is the most significant, positive policy development on the federal level for medical marijuana since 1978," said the Marijuana Policy Project in a message to its list members today. "It's great to see the Obama administration making good on the promises that candidate Obama made last year. These new guidelines effectively open the door to sensible collaboration between state governments and medical marijuana providers in ensuring that patients have safe and reliable access to their medicine," said Ethan Nadelmann, executive director of the Drug Policy Alliance. "What remains unclear is how the Justice Department will respond to rogue state attorneys, such as San Diego's Bonnie Dumanis, who persist in undermining state medical marijuana laws in their local jurisdictions. Now is the right time for the Obama administration to move forward with federal legislation to end the irrational prohibition of medical marijuana under federal law." While the policy memo was "encouraging," the "proof will be in the pudding," said California NORML head Dale Gieringer, who also cited the recent raids in San Diego, as well as the August federal indictment of two Lake County medical marijuana providers. "Note that the new Obama policy has a glaring loophole, emphasizing that 'prosecutors have wide discretion in choosing which cases to pursue, and ... it is not a good use of federal manpower to prosecute those who are without a doubt in compliance with state law,'" Gieringer said. "The salient question is, who decides what is 'without a doubt' in compliance with state law? As shown by the recent statements of LA's DA and City Attorney, there exist significant doubts about the legality of most dispensaries in California. It remains to be seen how far the administration's new policy guidelines will go to prevent further abuses, when what is really needed is fundamental reform of federal laws and regulations." And so opens the next chapter in America's long, twisted path to the acceptance of medical marijuana. Feature: What About the Clinton and Bush Era Medical Marijuana Prisoners and Defendants? When Attorney General Eric Holder announced back in March that he would not use Justice Department resources to go after medical marijuana patients and providers in states where it is legal unless they were violating both state and federal laws, he ushered in a new era in the battle over medical marijuana. Since then, the number of DEA raids on providers has dwindled -- if not quite down to zero, still a dramatic improvement over the last years of the Bush administration. Still, while the pace of raids and prosecutions has declined, the raids continue. There have been at least a dozen raids where federal law enforcement was present since the Obama administration took power. But even in this arguably new era, there is left-over business to take care of from the Bush days, and some from the Clinton days. Medical marijuana providers convicted under federal drug laws remain imprisoned. Medical marijuana providers raided, but not yet charged, have the specter of federal prosecution hanging over them. Medical marijuana providers arrested on federal drug charges remain subject to prosecution. And hold-over US Attorneys from the Bush era continue to prosecute them. Another Bush administration hold-over, Michelle Leonhart, remains in charge at DEA. According to the medical marijuana defense group Americans for Safe Access (ASA), at least 130 medical marijuana patients and providers are being prosecuted, or have been prosecuted or convicted under federal drug laws. ASA also lists 10 medical marijuana providers currently in federal prison. That list does not include an 11th person, Eddy Lepp, who is now serving a mandatory minimum 10-year prison term, because Lepp defended himself with a religious freedom defense, even though he was growing for medicinal reasons. Others are lesser known, but equally deserving of justice -- Ronnie Naulls, for example. Naulls operated a permitted dispensary in Corona, California and paid his taxes, but still got raided and arrested under federal law. Authorities turned his three children over to California Child Protection Services, and his wife was forced to plead guilty to a felony child endangerment count or face federal charges because the couple had marijuana in their home. 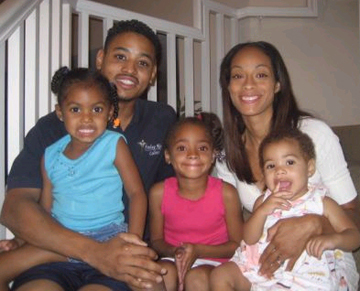 The couple got their kids back, but Naulls faces a preliminary hearing next week. Or Dustin Costa. 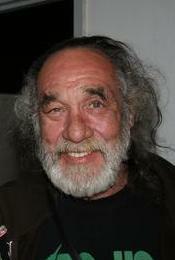 A medical marijuana patient and provider and head of the Merced Patients Groups, Costa was arrested on state charges by Merced County sheriff's deputies in March 2004. After a year and a half of state court proceedings, the Merced District Attorney turned his case over to the feds. Costa was convicted of federal charges of cultivation, possession with intent to distribute, and possession of a firearm. He's now three years into a 13-year sentence, which he is serving at the federal prison in Big Springs, Texas. Or the multiple people arrested in the San Francisco Sunset dispensary raids in 2005 and the San Diego dispensary raids in 2006. The former netted 33 people, the latter six. All still face federal prosecution. "We have seen a continuation of the prosecutions that began under Bush," said ASA spokesman Kris Hermes. "This is unfortunate given that they've signaled a change in federal policy. Nor is there any evidence they will pardon or commute sentences or stop prosecuting those people indicted under Bush but who have not yet completed the prosecutorial process." "What needs to be done is that the Justice Department should review all those cases in light of current policy and rethink the pending prosecutions of those people who would have been left alone based on the policy now being enforced," said Bruce Mirken, communications director for the Marijuana Policy Project. "I am sure there are at least some whose actions appear legal under state law. It would be nice to see those folks left alone and no further tax dollars wasted persecuting them. It would also be nice to see the use of presidential pardon power in those cases who would not be prosecuted now have already been sentenced and are sitting in federal prison." But Mirken isn't holding his breath. "I wish I thought that was going to happen immediately, but Obama's saving his political capital for other stuff," he said. One key to seeing real change from the federal government is getting real change in the federal government. With Bush appointees still in place at DEA and in the US Attorney positions, the Bush era prosecutions continue, and so do the raids. "Obama is really behind on that," said Dale Gieringer, director of California NORML. "As I recall, Bush appointed Asa Hutchinson DEA director in August 2001, and here we are in October of Obama's first year and there's still a Bush appointee there. 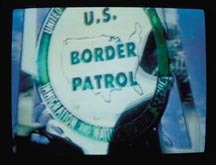 I recall very specifically that we saw the first raids orchestrated by US Attorneys within a couple of weeks of 9/11. That's when they went after Dr. Molly Fry and the Los Angeles Cannabis Resource Center. It only took until September of his first year for Bush to have an aggressive new team in place, but so far under Obama, we have nobody new at DEA and no new US Attorneys. In Northern California, the US Attorney is still the same guy who was appointed by Reagan. The rate of change is disappointing," Gieringer said. "The fact that a new head of DEA and new US Attorneys have not been appointed may present a problem in establishing a new policy on medical marijuana," said Hermes. "In at least a half dozen cases currently being prosecuted, the federal judges have asked for clarification on the administration's new policy before they proceed. That federal judges are balking at these continuing prosecutions in light of the supposed new policy from the Obama administration ought to be a concern to the administration. But what they're getting in response from the administration is not hopeful. The Department of Justice is saying it sees no reason to discontinue these cases or move them to state court." State court is where these medical marijuana cases belong, said the ASA spokesman. "Our position is that the federal government doesn't need to prosecute any medical marijuana cases in federal court," said Hermes. "If they think there is a violation of state law, they should leave it up to the state courts to adjudicate that. As long as they're in federal court, the government won't be debating whether the defendants were in compliance with state law -- they don't even have to address that, and they won't, because it would hinder their chances of obtaining convictions. There is no role for the Justice Department in prosecuting state law violation medical marijuana cases in federal court," Hermes argued. For those already convicted, it's too late for state court. The only relief they are even remotely likely to see is a presidential pardon or commutation. "I have this goal of getting Eddy Lepp out before his sentence expires," said Gieringer. "But to get out prison, you have to apply for a pardon. My understanding is it's sort of up to the prisoners and their attorneys to get that together. I don't know that anyone has started on that project yet." Not yet, but it looks like one is in the works. "We're looking at mounting a campaign to win pardons for those people currently serving federal sentences," said Hermes, noting that some of them are doing as many as 20 years. But don't count on the Obama administration to take the initiative, said Gieringer. "We're in a period of benign neglect," he said. "Obama is weaker now and less interested in these issues. He's not inclined to do anything, unlike Bush, who was forceful and assertive in the wrong directions. Now, there's a different dynamic going on. We're going to have to push as hard as we can, and hopefully we can get Obama's attention." In the meantime, some nonviolent medical marijuana patients and providers rot in federal prison, others are having to continue to fight their federal prosecutions, and even more -- those raided but never (not yet) charged -- possibly face the same fate. We won't be to a new era until we take care of this old business.